Michael Douville is a syndicated columnist for the Wall Street Greek. Most of my friends are broke! At 66 years old, retirement is certainly in the forefront of their thoughts. “How much longer can or should I work?” How many years will I still be viable and able to pursue my interests? What if my spouse gets sick; or I get sick and then we are no longer able to travel; available time taken up with other issues like Health. Time becomes extremely important; the accumulation of Wealth, not so much. 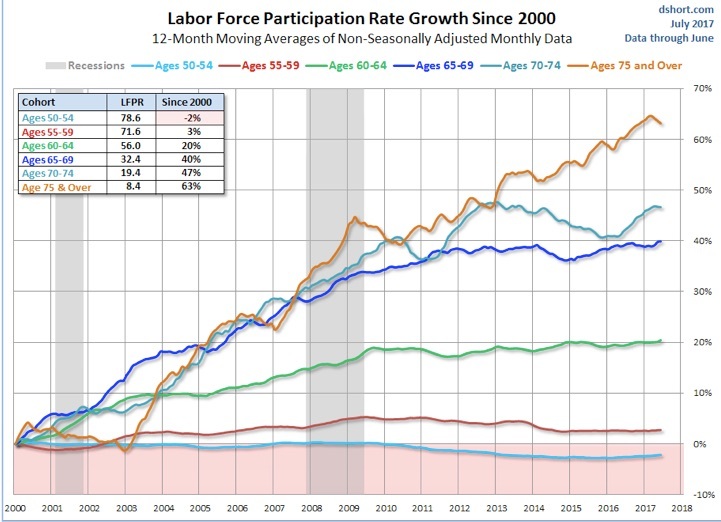 After 10 to 15 years, the Baby Boomers are back to work. The 75 years and OLDER, represent the largest segment of workers entering the workforce; 63% will go back to work. Completely broke! A travesty! It is this balance between having “Enough” and not that becomes startlingly clear as one ages and one approaches the end of a career or the end of one’s working life. Ideally, Investments have been made that have blossomed and grown to replace the W-2 income stream and Financial Freedom is attained. This is almost always a process achieved over a number of years; each year growing and adding income. 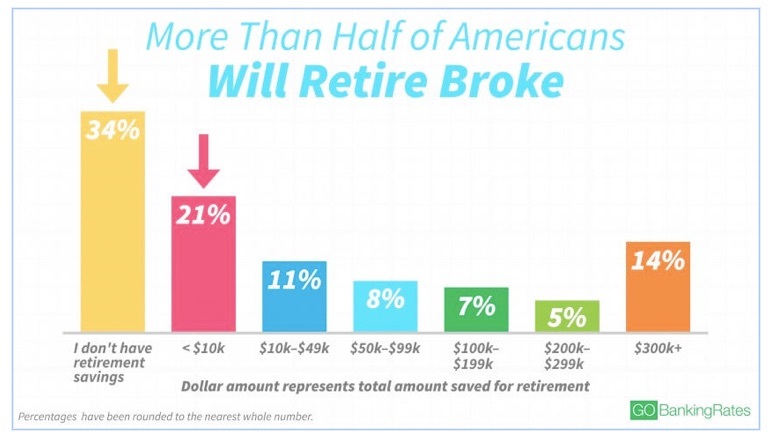 However, the sad truth is 51% of American Retirees retire Broke. No planning, no savings, no assets! Even worse, the vast majority of my generation, The Baby Boomers, retire the moment they are eligible for Social Security and do not receive their full benefits; taking less, but taking payments earlier. Making a “Bad” situation worse, most soon-to-be-retired have absolutely no idea what their monthly expenses are and how much it takes to continue their lifestyle. There are so many variables to factor in monthly housing costs such as Real Estate taxes that are exorbitantly higher in New Jersey, Illinois, New York, and California which drive up the cost to live enormously. Transportation costs in the suburbs or rural areas are much more than public transit in the urban areas. However, seldom are monthly costs less than $3000 per month and typically closer to $4000 per month; the Department of labor Statistics claims $3700 is the magic monthly cost. Unfortunately, the average “Baby Boomer” retiring in 2018 receives a Social Security check of around $1300 if unmarried and $2200 if your spouse is still alive and collecting as well. This is a very far cry from what is needed. Sadly, 41.9 million retired Americans depend exclusively on Social Security. If a couple has managed to save $300,000, it places them in the 86th percentile of the entire US Population of 55 years and above! That amount of savings and assets gives a certain degree of comfort. Not enough, not even close enough to provide for the rest of your entire life! You will be BROKE in 10-15 years and looking at any menial job that comes your way just to keep the lights on! There are formulas and guidelines for Monthly withdrawals. The Bengen Rule was developed by William Bengen as an attempt to account for 30 years of monthly withdrawals from the $300,000 Nest Egg. Although again, variables such as any earnings the Nest Egg may generate or worse any losses it sustains, will certainly affect the longevity of the funds. The general consensus is 4% of the funds per year. not including your home, can be safely withdrawn. The goal is for the Nest Egg to last for 30 years after which the asset is depleted or very nearly so. The suppression of interest rates coupled with the lack of any Financial Correction of assets has changed the outlook to even lower withdrawls. The new conservative approach is to reduce the monthly Distribution from 4% to 3.3%, the Pfau Rule! The results are the same net effect; after 30 years, hopefully you are dead along with your Spouse as all of the Nest Egg is probably gone! These withdrawal rates absolutely astound people and are met with disbelief. That $300,000 nest egg will generate $12,000 with Bengen and $9,900 with Pfau! Uh-Oh! Keep in mind, according to the Bureau of Labor Statistics, the average Baby Boomer needs $3700 a month. Social Security provides $2200 until a spouse passes then it reduces to the highest individual benefits of the married couple, still a sizable reduction. With a $2200 Social Security monthly check and as an honorary member of the Elite having accumulated $300,000, which can deliver $1,000 a month, the benefits are still falling short. There is a shortfall of $500 each and every month; no frills, no motor homes, no Family vacations with the Grand kids, no college funds, and NO ROOM for Health Issues. Certain Financial trouble for the survivng spouse. 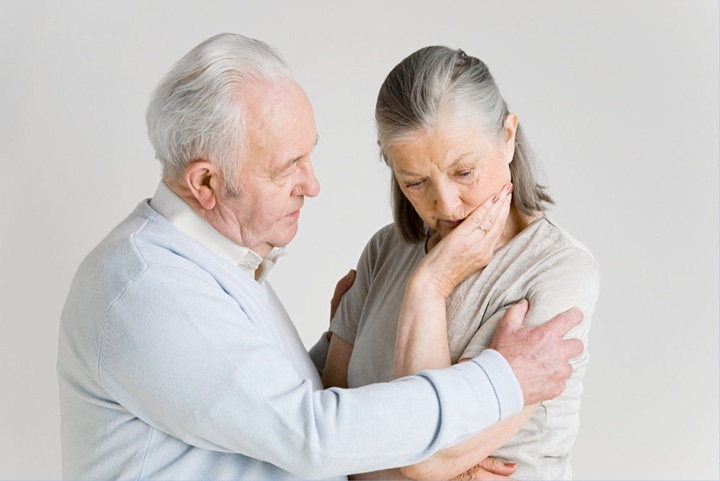 At the Death of a Spouse, the benefits reduce substantially and that $500 shortfall can easily become $1500+. What if you are very lucky? What if you live more than 30 years in retirement? More and more Seniors are living to 100 through Medical Advancements. Will you be living with your children or grandchildren, a niece or your son or daughter, a person down the street, or maybe a Ward of the State? Will you be subject to someone else’s charity when you are 90 years old? 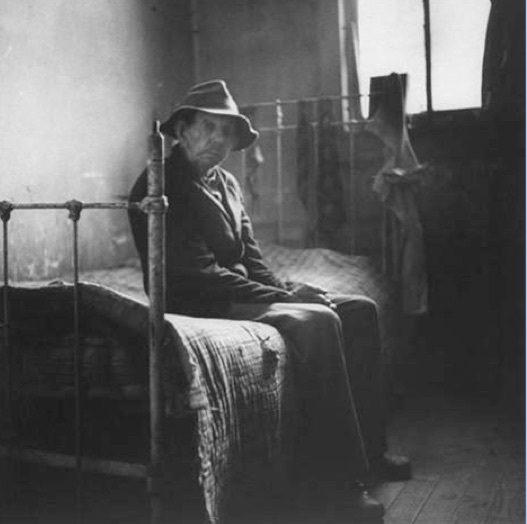 6.2 million Seniors already live below the poverty line. Take control of your own Destiny! Life is a Gift given by Almighty God. You have the ability to change your Life! If you are still working, PAY ATTENTION!! It takes about 7 to 10 years and requires discipline and a Strategy. You can develop Wealth for multi generations that will last for your children, grandchildren, and great-grandchildren and will NEVER DEPLETE. Take your husband or wife and explore Europe, walk the Great Wall of China, paint the landscape of the Dead Sea, or learn to cook in France. Enjoy every minute given to you. It is a simple choice, but it is YOUR choice.